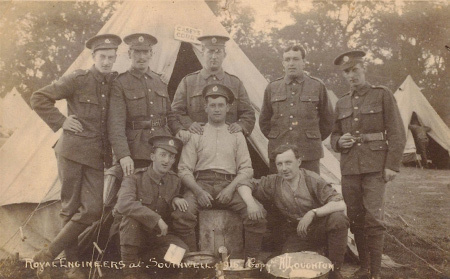 A collection of photographs featuring members of the Loughton family of Southwell. 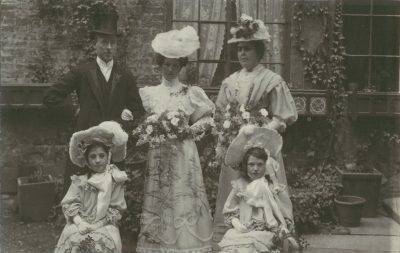 The wedding of William Loughton, to Charlotte Isabella Field, 6 April 1907. The wedding took place at the Holy Trinity Church, Southwell. 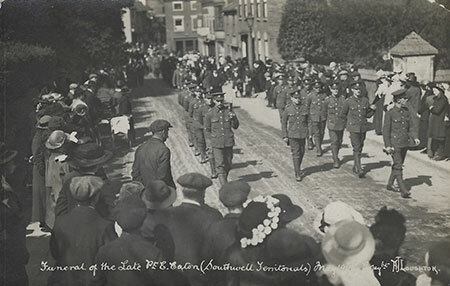 This photograph must have been taken later that day near the Old Southwell Theatre. The other three people are not identified. Charlotte died on 7 September 1913 from septicaemia caused by a midwife having an infected cut in her finger. On 28 October 1915, William married his second wife Gertrude Copeland at Basford Registry Office. 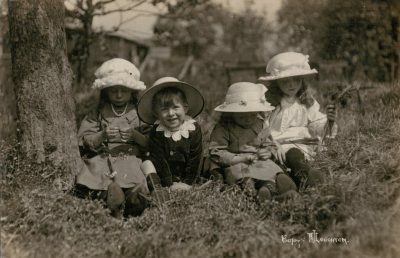 Annie Mary (Queenie) Loughton, Alfred Eric Loughton, Lottie Isabel Loughton and Mary Marshall sit enjoying the sun at Manton Cottage, Westhorpe, Southwell. Front row: L to R, Eric, Isabel, Queenie, Mary Marshall. 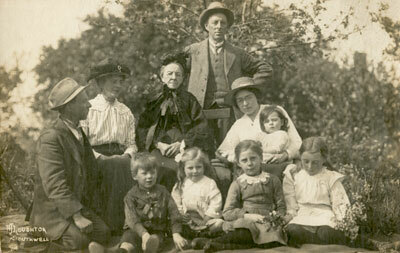 2nd row: Alfred, Aunt Lizzie, Grandma, Mother & Emily age 2. Taken from the handwritten note on the back of the photograph. Mary Marshall, Isabel & Annie Mary (Queenie) Loughton. 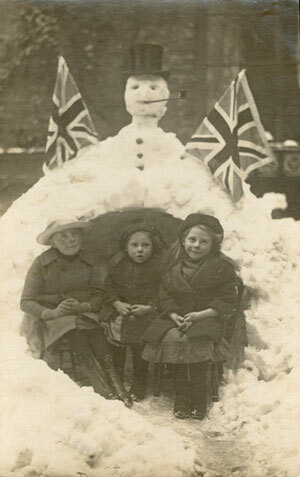 Going by the estimated age of the girls, this was taken in the winter of either 1918 or 1919. Note the window box that matches the one in the wedding shot at the top of the page. 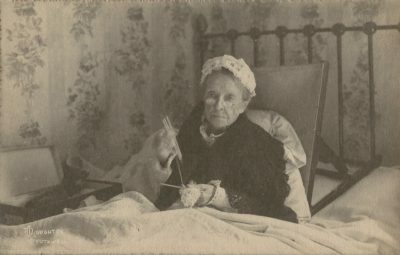 This photograph taken on the 20 May 1920 shows Alfred's bed-ridden mother Mary knitting. Mary's grand-daughter Barbara remembers often visiting Mary where she would be handed a coin. Mary was born on 9 December 1831 and lived until 17 November 1928. She is buried in Southwell's Holy Trinity Churchyard.